Many kids are told to never play with mud. In the case of a team of designers from London’s Royal College of Art, however, playing with mud is a foundation for making the world a better place. Bauxite residue, also known as “red mud,” is a byproduct of the creation of aluminum. 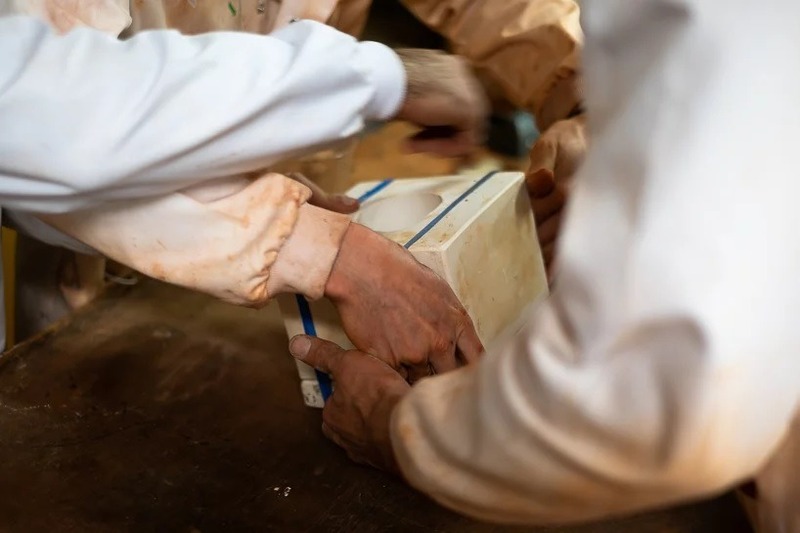 By refining bauxite ore into alumina, you get the precious metal everyone uses to cover their food and store their beverages in. Yet, about 1.5 times more bauxite residue is made than the alumina it produces, resulting in millions of tons of the stuff which are dumped into giant holes located around the world. 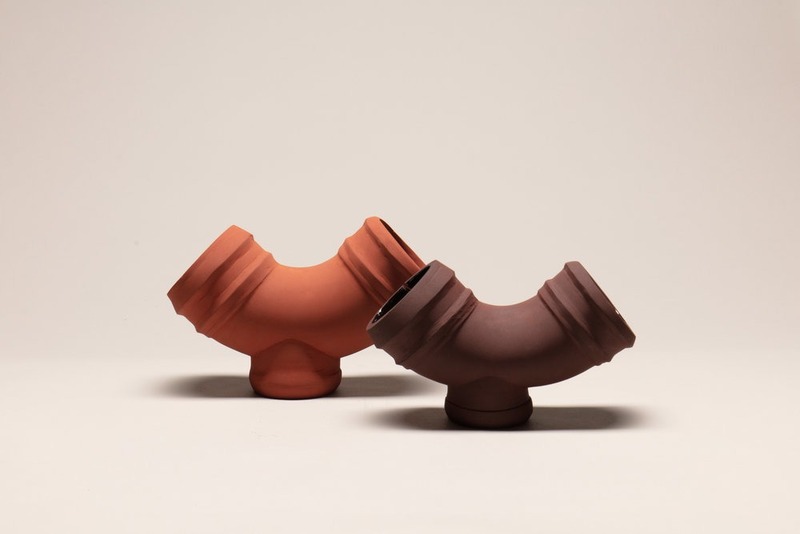 The Royal College of Art team, composed of designers Guillermo Whittembury, Joris Olde Rikkert, Kevin Rouff, and Luis Paco Bockelmann, have come up with a way to take all this red mud residue and turn it into usable and safe ceramic material. The red mud they use comes from a waste pit just south of France. 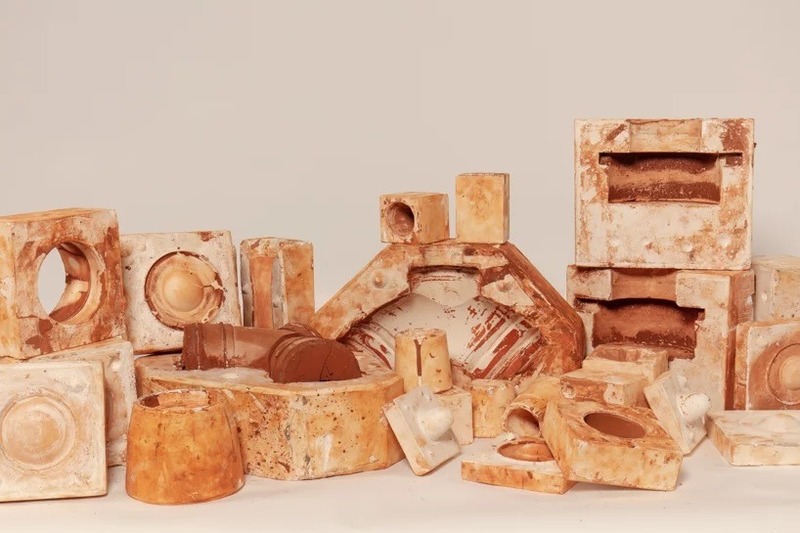 By working with material scientists, Imperial College London, ceramicists, and factories dotted all across Europe; the team conducted numerous tests to create various molds for different types of ceramic glazes and tableware. 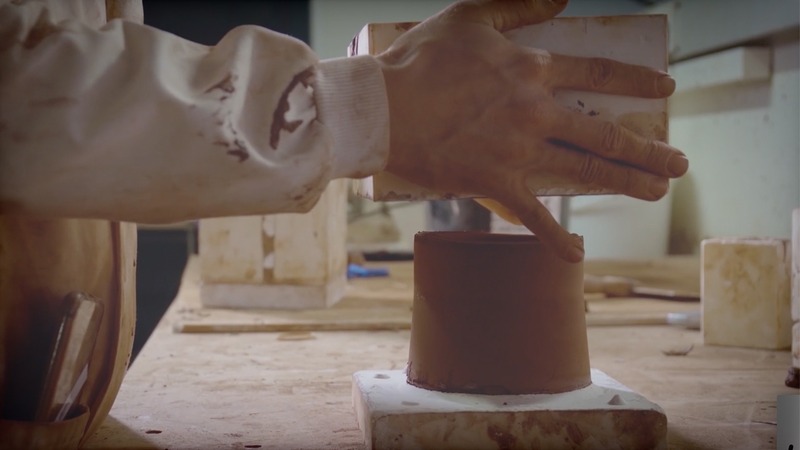 Using different firing temperatures, they were able to create various colored ceramics from the same material and mold. 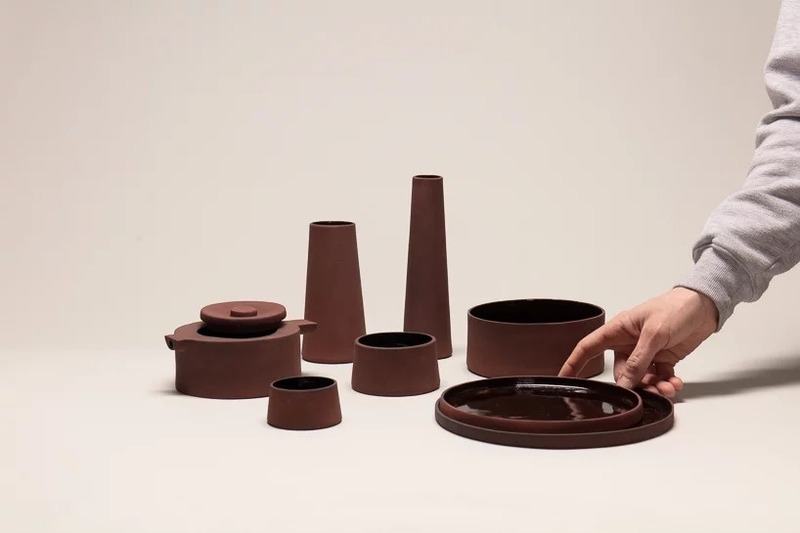 The result is a tableware set inspired by modern-day factories where most of the red mud comes from. 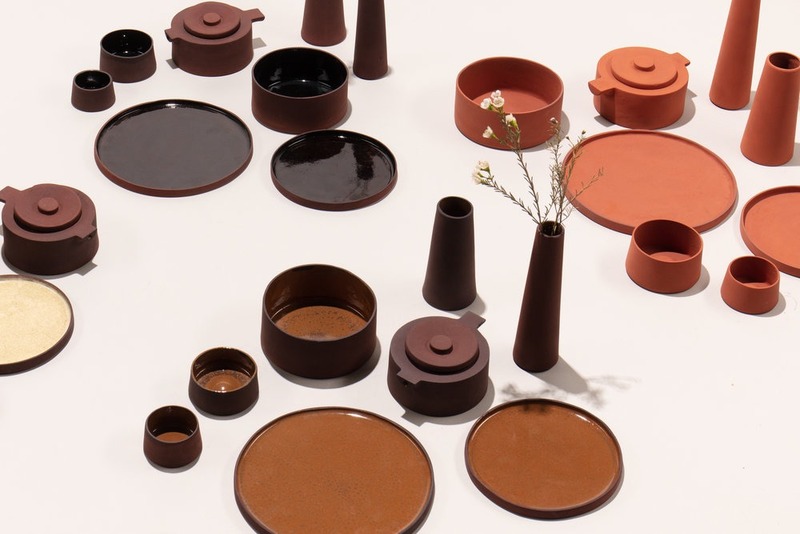 You can see how some of the taller tableware reminds you of smokestacks, while the smaller ceramics mimic the buildings where factory workers are forced to pollute the environment by their corporate masters. 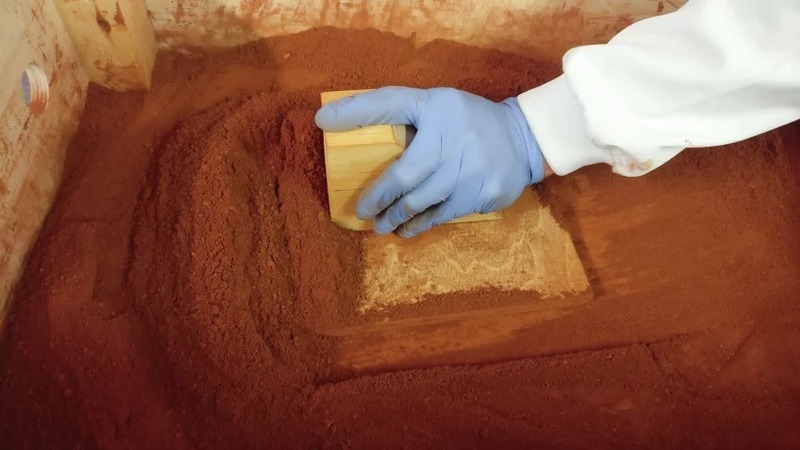 This design choice to mimic the factories red mud comes from is an attempt to raise awareness of just how much waste is produced daily, but it also helps to highlight just how useful the by-products produced by the making of these materials are—and might help inspire other designers to look towards manufacturing waste when exploring materials for their designs, too. Find out more over at the Red Mud Project.